The February 2014 was characterized by shocking moments. On the Valentine’s Day, the day of love and lovers, Oscar Pistorius killed his beautiful girlfriend Reeva Steenkamp. Far away from conventional and stereotyped reports, VALEUR MAGAZINE Issue 14 presents an homage and introduces the work as well as the life of that committed and tragic young woman. We talked with friends and colleagues and we drew a respectful picture of an icon for courage as well as for the violence against women. 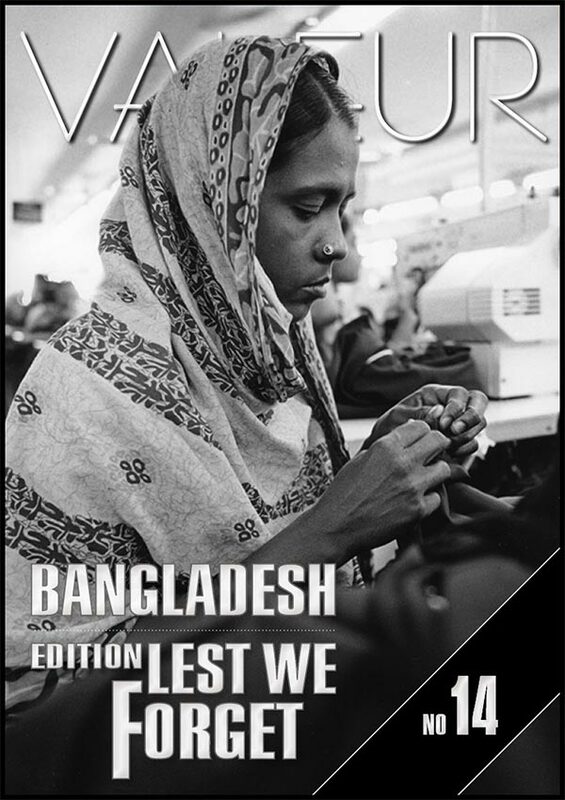 Furthermore, issue 14 presents a 56-pages report about the catastrophe in Bangladesh. There, 1127 people lost their lives because of the collapse of a factory. But it was just one of the biggest events of that kind, caused by inhuman conditions and the wish of rich countries to consume cheap products without showing respect to people in the manufacturing areas. The issue disclosed the complex correlations and reasons, inter alia, due to a huge interview with Dr. Gisela Burckhardt, head of FEMNET e.V. (www.femnet-ev.de), an organization and member of the CCC, the Clean Clothing Campaign: www.cleanclothes.org. Hereafter, issue 14 showed countless opportunities to wear eco-fashion, which is very stylish, wearable, really fair produced and traded as well as easy affordable for everybody.